14,000,605 times we’ve watched Venom! Not to fear. Below we’ve compiled a list of ten must know elements about Venom, the mythos, origins and all that good stuff that’s going to turn you from your average Joe to a symbiotic specialist. Let’s start off with the basics. Venom is a life force known as a Klyntar. A race that lives by possessing the bodies of other beings and draining them of adrenaline before moving to the next. If anyone remembers Frubes you get the picture. Venom is a bit different from the rest of his race as it desires a long-term connection with its host and not just a snack. Talk about relationship goals. He’s no sweetheart though. Venom has completed such feet as beating Superman and Spiderman to a standstill by himself at the same time (in an alternative universe). There have been some interesting origins of MCU characters in the past. For example Tony Stark needing to break out of a terrorist stronghold with a secret suit, he made out of scrap metal. Venom shares a bit of a similarity here. He started as a suit. A literal suit. In Secret Wars (Secret Wars issue 8), Spiderman damages his costume and goes in search of a new one. It is on this adventure that he finds Venom (a black goo) and the two merge. As this story is separate from the MCU, Spiderman is not present in the film; as a result, the symbiote will have a rather different origin story and no spider symbol on his chest. Over the course of the Venom comics, there have been a lot of hosts to the antihero alien symbiote. In this movie, however, the movie is focused on the most well known of its hosts, Eddie Brock. A journalist, discredited by Spiderman. In his rage and grief, Eddie seeks refuge in a church where he bonds with the symbiote after it has separated from Peter Parker. The movie alters this origin story with Eddie receiving his powers after doing some meddling at the Life Foundation that would make Scobby Doo proud. The Life Foundation is a fictional survivalist group appearing in Marvel Comics. Primarily an enemy of Spider-Man. Created by writer David Michelinie and artist Todd McFarlane. It first appeared in The Amazing Spider-Man Vol. 1, #298. They responded to the pandemonium of the cold war fears, by constructing doomsday-proof communities for their own members and the social elite. To get you a spot in one of these communities would cost you of $5,000,000, plus vat of course. This is changed for the film, with The Life Foundation being a genetics corporation that encounters the symbiote, attempting to create the next stage of evolution. The foundation is headed by the ominous Carlton Drake(Riz Ahmed). Who may or may not be bonding with a certain symbiote of his own to create the big bad of the film. As you might have guessed by the introduction to the list Venom is not a one-man show, he is part of a thriving space race. 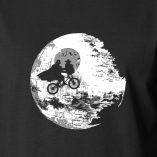 Although we don’t seem to get any reference to their home planet in the movie. However, Venom won’t be the only symbiote on the block. 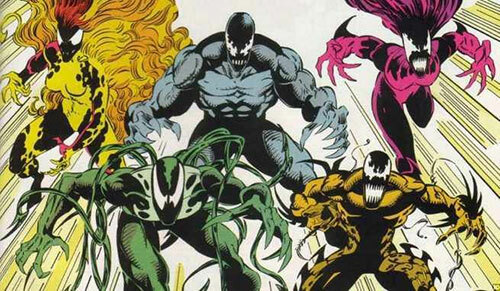 In the comic storyline Venom Lethal Protector, The Life Foundation creates 5 soldiers using the Venom symbiote; Scream Agony, Riot, Phage, and Lasher. Which the final trailers have confirmed will play a part in the film. All of them were created from the Venom symbiote. Meaning that all of them are technically children of Venom. Despite what you think this doesn’t change the ending to some twisted family reunited. No when the Kylntar have children they don’t take them on family outings. Each descendant of a Klyntar is even more powerful than its parent. Needless to say, this mix of new symbiotes will create quite a few interesting antagonists for Brock and Venom to face off against. The 4th most populated city in California, fans of Marvel may remember visiting it earlier in September, with the first post-Infinite War Marvel film “Ant Man and the Wasp”. However, it seems we’re back again now with the Sony Marvel cinematic universe. This is due to a tweaking of the original origin story of Venom as previously discussed. Now San Francisco is no stranger to superhuman mix-ups. Comic fans of X man will remember the Secret invasion series in which the Skrulls secretly began to dominate the earth, (See here) including San Francisco. It seems now, however, Venom will be taking to the streets to stir up things in a Skrull free San Francisco (or else we’d have to get really excited). Not to be confused with King Curtis the,“ bacon is good for me”, child sensation of Wife Swap. Cletus Kasady and Carnage are completely different and far more terrifying. Instead of chicken nuggets and bacon, they are more partial to mass murder and destruction of anyone within arm’s reach. Another child of Venom, Cletus Kasady was Brock’s prison cellmate. After escaping Venom left its offspring behind. 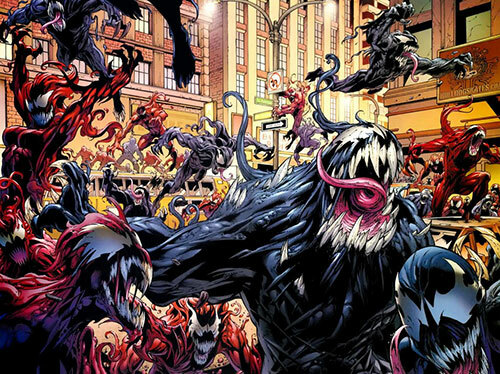 The symbiote and Kasady bonded to create, Carnage. Quite literally it seemed. Together Cletus Kasady, the unhinged serial killer, and the new symbiote went on a murder spree, where they would write the word Carnage at the scene of each crime, in the blood of their victims. Earning them their name. Although the main villain in the Venom film is Riz Ahmed’s character, Dr. Carlton Drake, Woody Harrelson is confirmed to have “a small part in the film” .This is rumoured to be setting up something in a future sequel. We’ll leave the rest of that up to you. An interesting feature of the creation of Venom is that it’s homespun origin of the idea. In 1980 Marvel got a letter from a Mr. Randy Schuller, with a design for a new black spider suit. Marvel ended up buying the rights to this idea and it turned into the idea for Venom. We think it’s awesome that Venom was created by a spidey fan (we’re already at working on the villain for Venom 2). 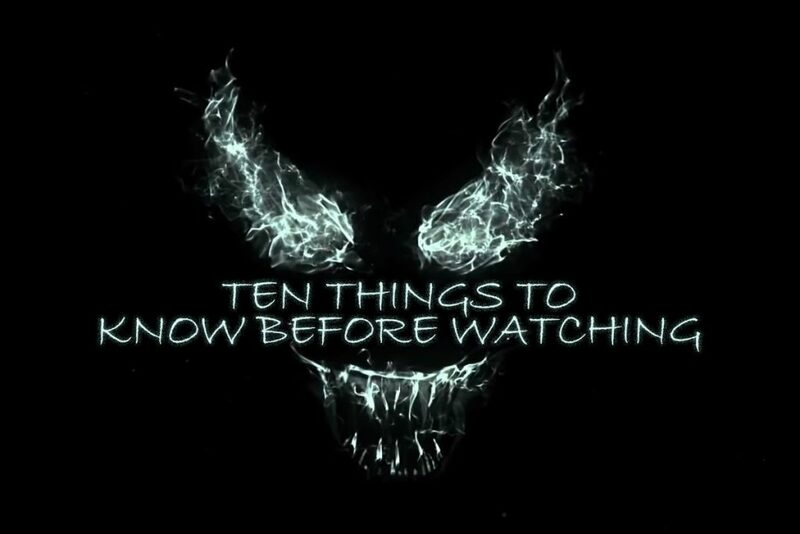 That covers the main points of the Venom movie but we also wanted to add extra homework for anyone of you superfans wanting to be able to have Black Panther Shuri level knowledge of all things Kylntar. 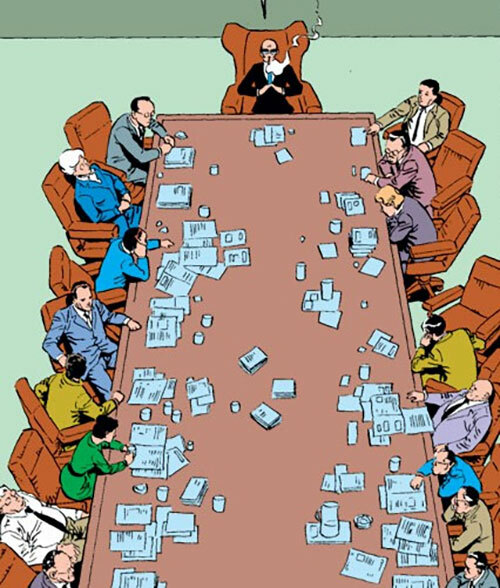 In recent months there have been some big developments in comics. This includes the Venom and Kylntar mythology. This is in the form of an all-powerful deity that existed before the universe itself in the eternal darkness of empty space. Pretty cool if we say so ourselves. 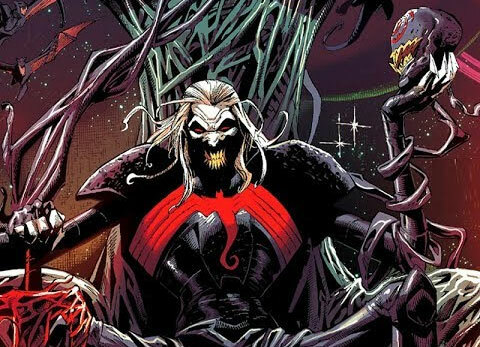 Not just that but the deity, Knull, created the Kylntar race out of pure darkness itself. Like we said, pretty fricking cool. Knull created a host of these living shadows and sent them to conquer the entire universe. However, after they broke free of his control his own creation revolted against him and imprisoned him in a giant cage made from their own bodies. Needless to say, Venom having an aggressive streak is understandable being made from living darkness itself an all. So we’ve talked about the history of the symbiotes, now let’s look at their future. Needless to say like everything Sony hopes to make as many sequels and spin-off as they can. Now even though in the past this has been to the detriment of some movies (think Shrek 4), it does open up a whole new world for our anti-hero to grow into. 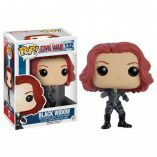 The popularity of anti-hero films is increasing as fans look for new and refreshing ways to take the genre that, as marvel reminds us with every movie they’ve released this year, is ten years old. Three on average a year means that’s over 30 movies. Not counting the other non-Marvel superhero movies such as; Deadpool, X-men, Batman, D.C movies and many more. We hope, like us, you’ve seen every one of them. After all this time you can see that, like Venom, fans are starting to explore new hosts, in stories not just about the heroes we all know and love. Instead, we are looking towards more mysterious and complex characters that allow us to look in new ways at the genre. Seeing how, just because something is born in the darkness (I bet you read that in a Bane voice), it doesn’t mean it has to stay there. So thanks for checking out our top ten list. We hope now you’ll be rattling off facts quick enough to ruin the plot twists for anyone foolish enough to ask you if you know about Venom. 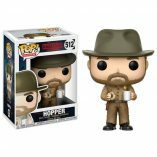 If you’re interested in things every nerd would dream of, check out some of the new arrivals in our custom made gift boxes here. Please don’t use them to take over the world.